Shauna loves food that tantalizes the taste buds. She experiments with textures and flavors when creating dishes from scratch. Philly Cheesesteak wars are a constant event between Pat’s and Geno’s in South Philly. If I still lived there, they’d have to go up against me. And I’d win! I was raised by a born-and-bred Philly dude. When we lived in Philly, I don’t think Cheeze Whiz had been invented, yet that’s what they put on them now. Yuck! Who wants plastic cheese on their food? Not me. Not then and not now. If you have a hankerin’ for the best damn Philly Cheesesteak on the planet, you’ve got the tools in your hand with this recipe. I made lunch for my mom and dad when I brought my son home from the birthing center (at the tender age of 10 hours old!) and Dad swears it was the best Cheesesteak he’s ever had. Everyone I’ve made it for since says the same thing. I’m now passing my secret on to you. You’ll be a hit when you lay this on your comrades. That’s a promise! This sandwich is best made in a cast iron skillet. The brand of sandwich meat I recommend is Philly Gourmet (what else?). It’s 100% beef with no crap added. 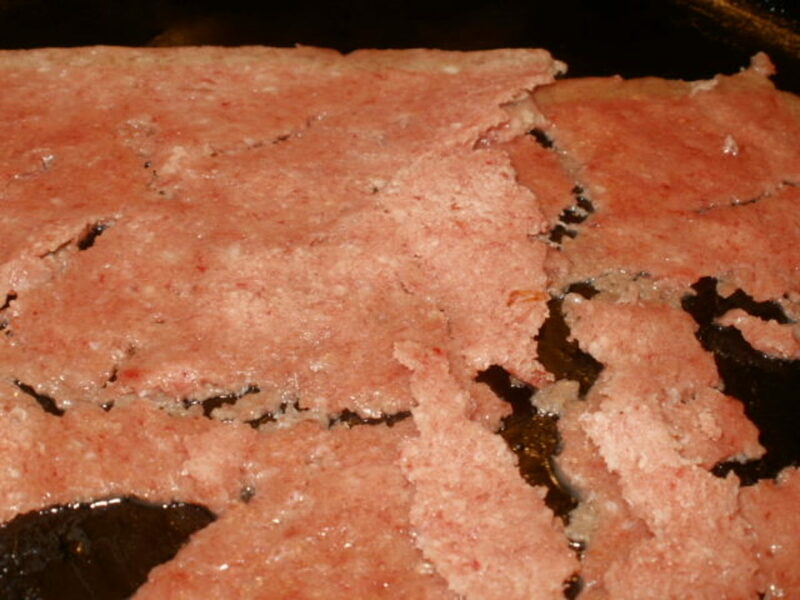 It’s very thinly sliced and is made to be cooked frozen. You don’t need to add fat to the pan because there’s already some in the meat. Melt the butter over medium heat and add the sliced onions, separating them into rings. Cook until slightly limp and brown. You want them to have a bit of a crunch to them. 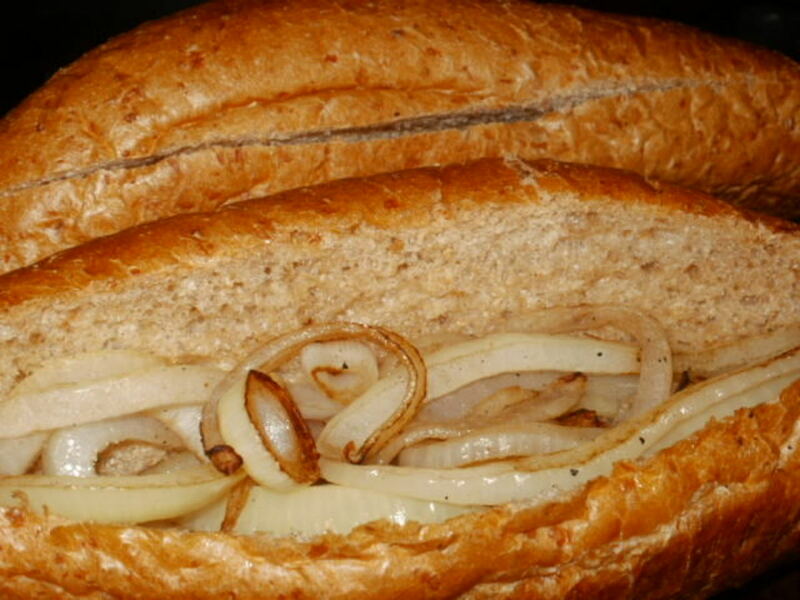 Remove onions with a fork and place in the well of the hoagie rolls. Place onion stuffed hoagie rolls on a baking sheet. Add mushrooms to the pan and sauté until they reduce and you can smell them. Remove ‘shrooms to a bowl and set aside. 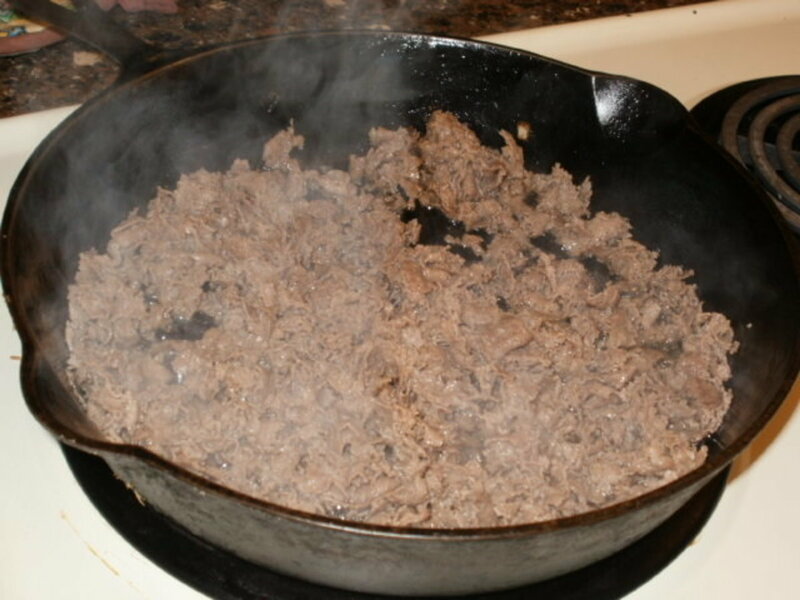 When all the meat is cooked, spread it out in the skillet. Add the mushrooms back to the pan and mix with the meat using your slotted spoon. 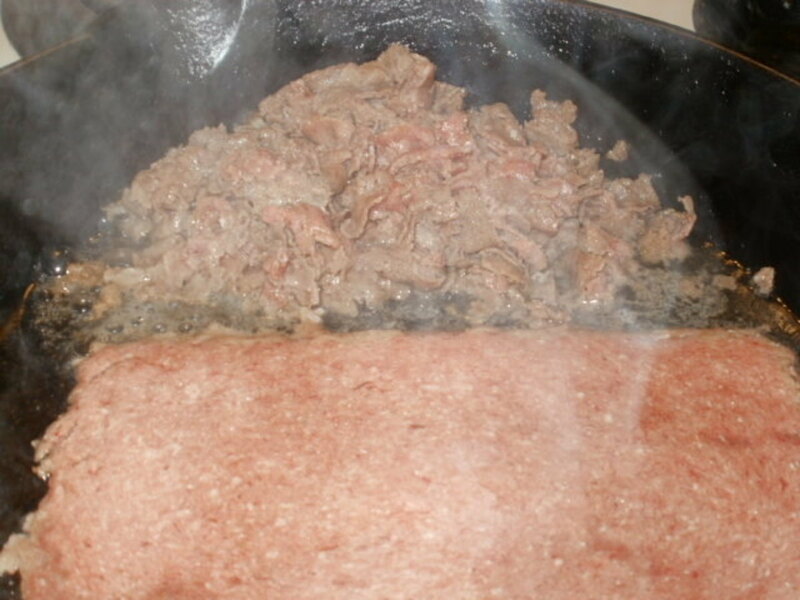 Cook, stirring with the slotted spoon until meat is no longer pink. Tear American cheese slices into small pieces, one or two at a time. Mix well with the meat until incorporated. Continue adding cheese until the mixture is kinda gooey and a light brown color. 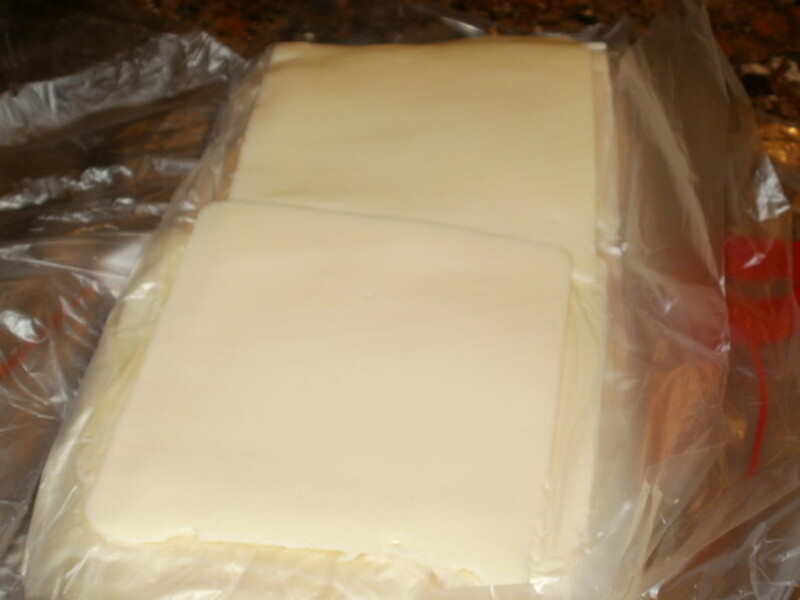 Place 3 pieces Provolone cheese on each hoagie roll. Overlap them and stuff the sides inside the roll(s). 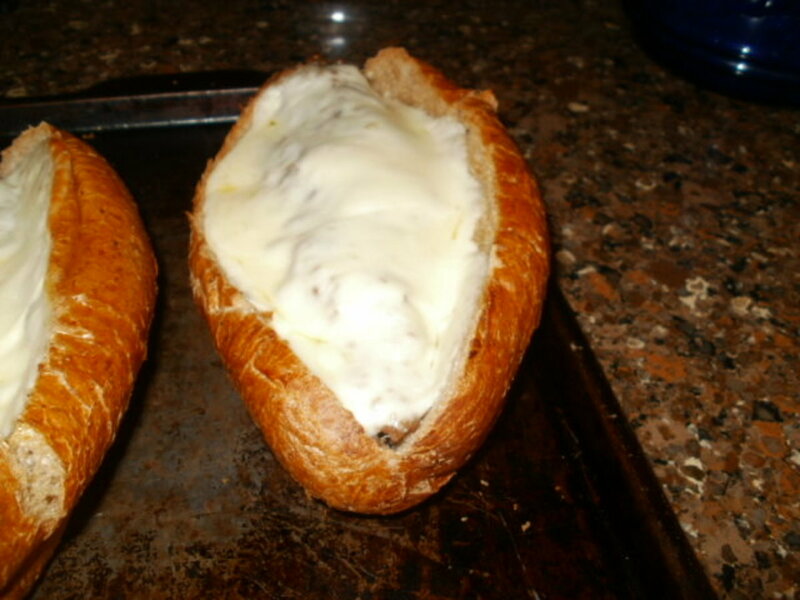 Bake in a 350º oven until the Provolone is melted (about 5 minutes). Remove from oven and let rest on baking sheet for a minute or two. Squeeze the sandwiches closed, plate, serve, and enjoy! As you see, this is not something you want to eat often, but it's a delicious occasional indulgence! Breaking the meat into small, scrambled pieces makes it tender and easy to eat. You won’t find slabs of meat pulling from the hoagie roll each time you take a bite. Placing the onions on the bottom of the roll (as opposed to slapping them on top of the meat) adds texture and a bit of a crunch. Incorporating mushrooms and American cheese into the meat adds flavor without resulting in gloppy layers that sit on top of each other. I use real cheese, not jarred crap that has god-knows-what in it. My Philly Cheesesteak recipe has a higher meat to bread ratio. 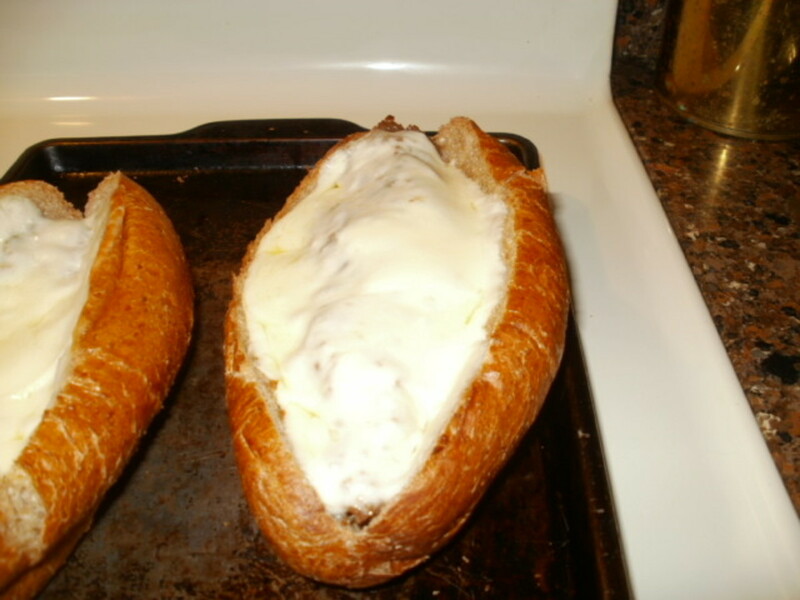 Adding provolone cheese to the top and baking the cheesesteaks for a few minutes adds a bit more decadence to the sandwich. 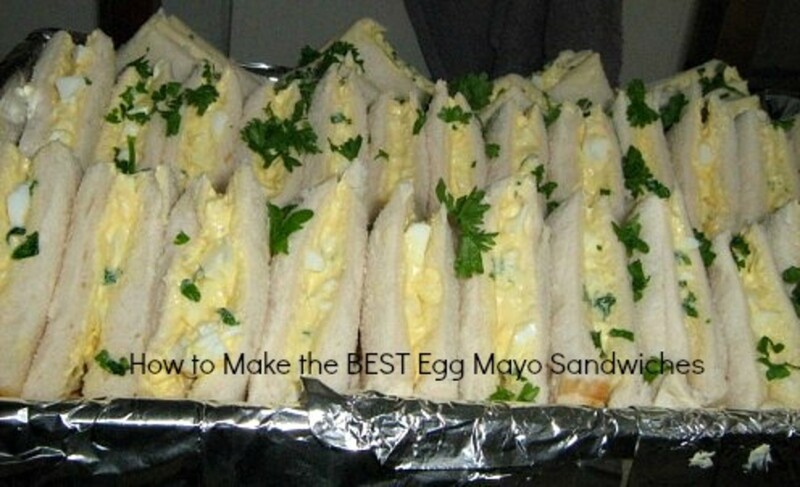 It also allows the hoagie rolls to crisp a little on the outside while staying soft on the inside. Besides, why put hot sandwich fixins’ in a room temperature roll? Do you think you'll try your hand at making the best damn Philly Cheesesteak you ever ate? Absolutely! I love a good cheesesteak. Not in a million years. It's too fattening. I don't eat meat. I only read this because you're so darned cute, Bravewarrior! Once you try this recipe, you’ll agree that it’s the best damn Philly Cheesesteak you’ll ever eat. A word of caution: this is not something you’ll want to eat often, as it is pretty fattening. However, when you get a hankerin’ for a decadent, mouth-watering, mm mm good hot sandwich, my Philly Cheesesteak recipe is the one you’ll reach for. You may even get two meals out of one sandwich; I usually do. For you meat eaters, I hope you try this recipe. Maybe together we can resolve the Philly Cheesesteak war once and for all. Bring it on Pat’s and Geno’s! P.S. Please go back up to the top and rate this recipe. Thanks! Yes, they are, Spy. Now you can make your own. Just follow my recipe and treat yourself once in a while. 5 months ago from Neverland - where children never grow up. I miss Philly Cheesesteak so bad. Used to be my favorite when I was still working at Y. They are soooo good! Linda, everyone I've made this for loves it. In fact, my dad, who was born and raised in Philly says it's the best damn Philly cheesesteak he's ever had. Now, that's a compliment! I'll have to make you one when you come visit. grin, grin! Oh good heavens, I think I gained a pound or two just looking at those great photos. I want one of these right now. Do you deliver? Seriously, I had a Philly cheesesteak just once and thought "meh, why all the fuss?" Now I understand; the sandwich I got was NOTHING like this. Yours, I know, would be amazing. Thanks, Ziyena! I went to South Florida to visit my family over this past 4th of July week. On the 4th I made cheesesteaks for my folks, sister and niece. They all said it was the best Philly cheesesteak they'd ever had. Considering my dad was born and raised in Philly, that was a huge compliment! Thank you, Flourish. I don't know why it's not on Delishably. Maybe HP hasn't gotten around to reviewing this one yet. I've only had a few of my hubs moved to niche sites. So far, neither of the recipes I've posted have been moved. Hopefully, it's just a matter of time. I've shared this on HP and G+ed it. Why isn't it on delishably? Seriously. It's an indulgence, Nell, but definitely worth trying. I never order cheesesteaks out because they're never as good as mine! Now that is different but sounds amazing! lol! If I make that my son will be telling me to go over and cook for him at his house! great idea and love it! 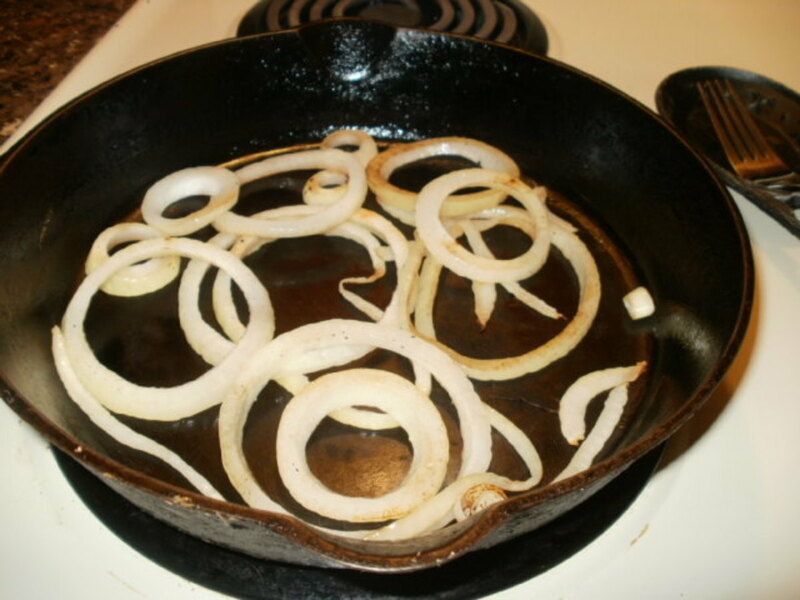 Just the smell of onions cooking makes me hungry! Let me know how you like this sandwich. I can't wait to hear what you think. You know I often hear that we 'eat with our eyes first' and while I do agree that seeing a luscious food before us does make us wish to dig in, I am also tantalized by the aromas wafting around the kitchen and home when something divine is being prepared. Sounds divine...I will have to give this a try. Blond Logic, you eat it like a sandwich. When you take it out of the oven, squeeze it closed and secure with a fork or toothpick. Let is sit for a minute or two, then enjoy! I mentioned this to my husband and he was interested. Very interested! 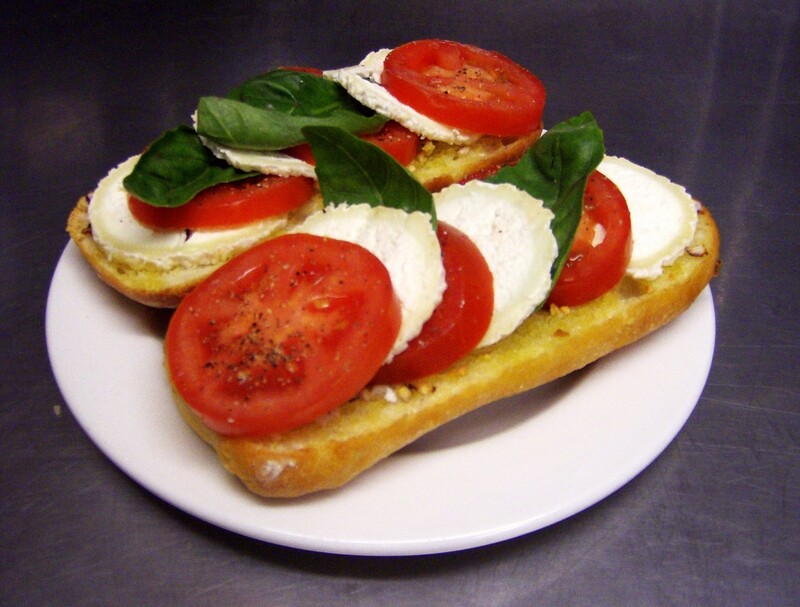 This is going to sound silly but do you eat it like a sandwich or use a knife and fork? Yep, that's the secret, Catherine. It makes a huge difference in flavor and texture. Now I know the secret to Philly cheese steak. Mix the cheese with the meat. as well as putting it on top. Thanks. Blond Logic, if you have access to beef, have your butcher thinly slice rib-eye steak for you. As far as the cheeses, use a mild melting cheese for the meat mixture and a more robust flavored melting cheese for the top. Oh damn! This looks so good but I can't get the ingredients where I live in Brazil. I would have to make so many substitutions it would be totally different. I still might have a go though...my mind is now in a whirl. Charito, that's quite a compliment! Thank you for that. Hi, Ms. Shauna! I hardly eat Philly Cheesesteak, but you've got my mouth watering for this recipe! Thanks for sharing. Shauna-I know, I never learn! Thanks again for a spectacular recipe. Seriously, I hope you try it. It's definitely decadent and delicious! I haven't eaten lunch yet and my mouth is watering looking at this Philly cheese steak sandwich. It sounds decadent and I can't wait to try it out. Pinning this baby! You're on, Spy! They really are delicious if made right. 3 years ago from Neverland - where children never grow up. Never had one taste of Philly Cheesesteak though. Maybe when I come to see you? :) But I think this is really great. Suzzycue, I agree with you completely. Cheez Wiz shouldn't even be on the market, let alone be used in a classic sandwich such as the Philly cheesesteak. What on earth are they thinking????? Thanx for the thumbs ups. I hope you try my recipe and come back to let me know what you think of my version. Shyron, I appreciate your comment, but the first and last choices in my poll are contradictory. How can use love a good cheesesteak without eating meat? Thanx for the shares, despite my confusion in your poll choices. Shauna, in the poll you should let us choose more that one, I would have chosen the 1st and the last one. Pamela, I have to agree with you: my recipe blows them way, even if I say so myself! I can't remember which one I went to, but we chose the longest line as we figured that would be the best one, right?? Anyway, we did like it, but your recipe blows them away! I would eat them once in a while and forget about the calories. Definitely a 5* recipe. Jenn, I don't see any typos. As for the recipe, I do hope you try it. My neighbor says he's going to try my recipe this weekend. I can't wait to see (taste) how it turns out! 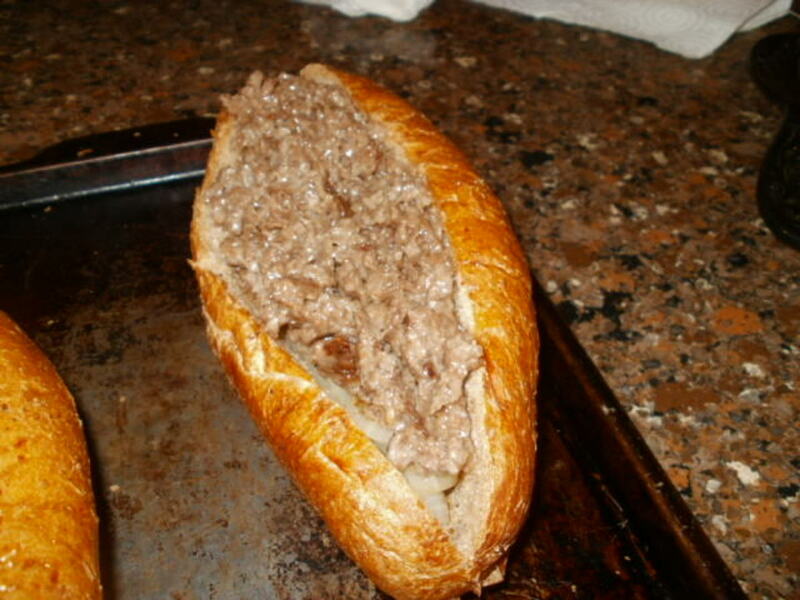 I must make these Philly Cheesesteaks soon. Thanks for the recipe. Also, forgive me for some of my typos and grammatical errors in my post as I am posting from my mobile. Doc, you're on! It's great to see you! Shaun's, dear - your best 'damn' Philly cheesesteak has got me salivating in anticipation. When' I'm next in Florida - I shall invite myself for this gourmet treat. And thanks for the detailed recipe, you domestic goddess. Let me know how it turns out, Nadine. I've never tried this using chicken, but then again, I'm not adverse to eating red meat on occasion. I'd be curious to know your substitutions. May I suggest you take pix as you make the dish, then post your alternative recipe? It's my time to cook, so I was in time to read your recipe, but I already changed your instructions in my mind by using chicken instead, since we do not eat any red meat. Indeed very high in protein, but I will give it a try after some alterations! Ha ha, Flourish! A cheesesteak once in a while is a delicious indulgence. I need to stop thinking about this. Wow, it still looks good. Peg, these pictures were taken about a year ago. But, yes, I made these for my folks when my son wasn't even 12 hours old. They really are delicious. 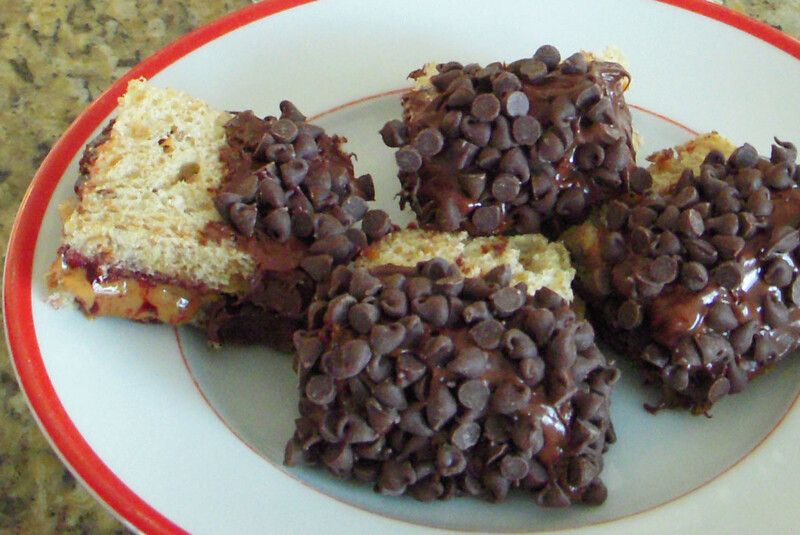 I made them for my neighbors shortly after I posted this recipe. The woman person of the bunch is not much of a red meat eater, so I wasn't sure she'd like it. She made a point to tell me how awesome it was and stated asking me questions about how to make it, so I printed this hub for her. I'm curious to hear her feedback when she tries the recipe herself. These sandwiches look and sound delicious. I would love to give them a try. I'm with you on using real cheese for cooking. 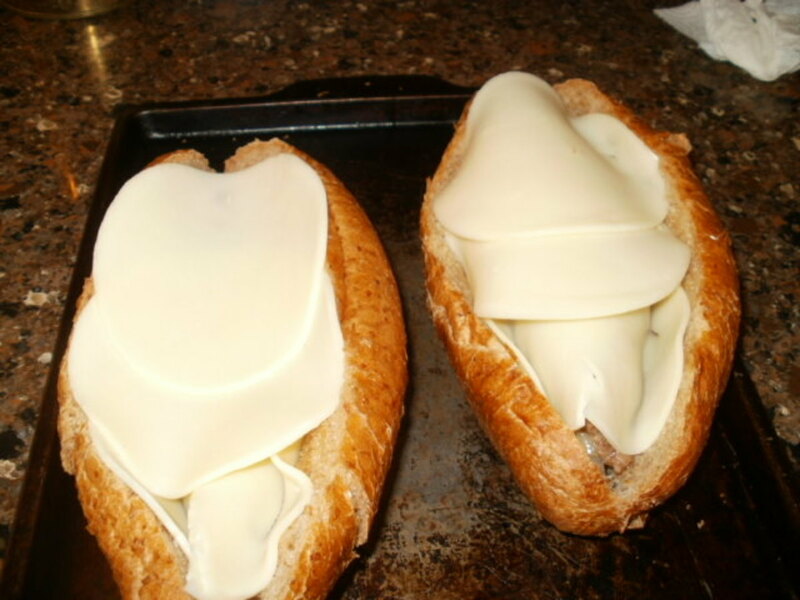 There's nothing like melted cheese to make a sandwich rich and yummy. Thanks for sharing your wonderful recipe. I cannot believe you were in the kitchen cooking these right after your son was born. Wow, woman. You got it, poetryman! What's more is there's cheese mixed in with the meat, too. Yum to the enth degree! If you cannot see the meat because there is so much cheese, you have done it right! Margaret, I hope you do try this recipe. Chances are very good that your husband will deem you the Queen of Philly Cheesesteaks! Peachpurple, this is full of cheese. I'm delighted you want to try it! Flourish, I really appreciate that. The fact that you read this despite the fact that you no longer eat red meat is an honor. Thank you. Although I no longer eat red meat, recipes like this can make think back to the good times and good tastes. Sharing, 5 stars, voting up and more. Awesome, Sheila! I made Philly Cheesesteaks for my neighbors this past weekend. They all said they were the best cheesesteaks they'd ever eaten. One guy loved them so much he ate two! I am still trying to find that perfect Philly cheesesteak! This sounds so good! 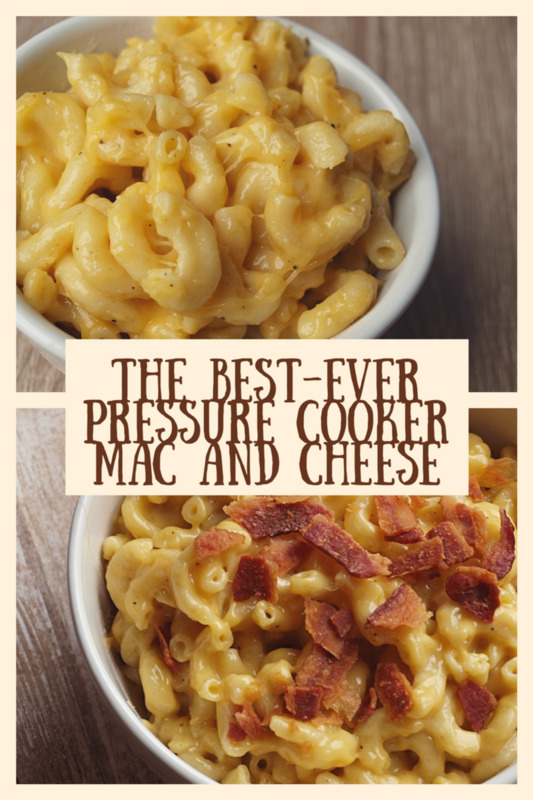 I am pinning this and writing down the ingredients right now! You know, Sha, when I lived in Wilmington, I went to Philly upon occasion, but never had a cheesesteak. Just couldn't bring myself to do it, but I DID discover DiBruno's Cheese Shop and Superior Ravioli Company. Linda, I've never had them. I lived on the other side of Philly. However, even back then plastic cheese crap was not part of the recipe. Pat's (especially as the originator of the Philly Cheesesteak) and Geno's have obviously chosen cheap products over quality. That's fine with me. 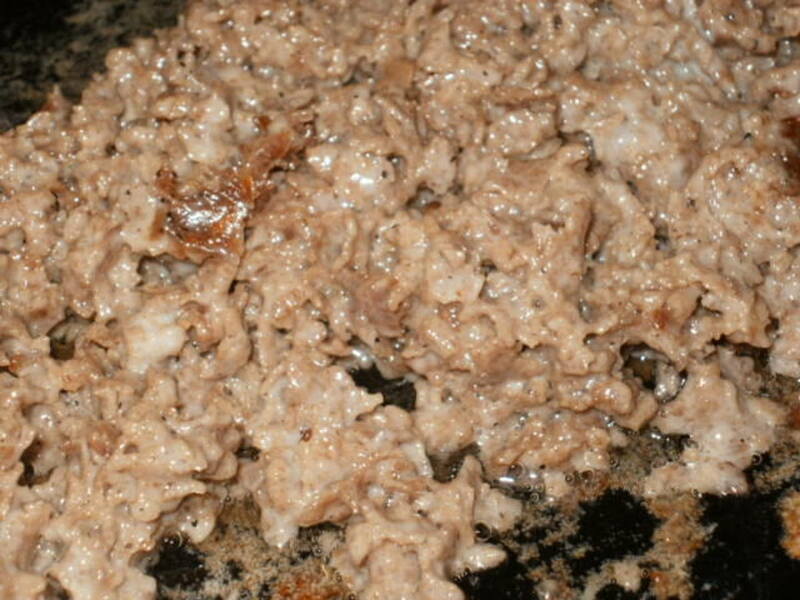 Use my recipe when you want an awesome cheesesteak. I hope both venues find this article and challenge me to a throw-down. Ha ha, Nell. I would, but it might not make it. It'll probably be eaten by the staff before it ever hits ground! I have had Pat's and Gino's Philly Cheesteak. They may have been good years ago, but no more!!! Send one over on the next plane heading my way! LOL! have a great time! Nell, let me know how it turns out. I'm having a Philly Cheesesteak party this weekend. Real, not really a party, but I'm making them for me, my son, and my neighbors. I'm sooo looking forward to the delectable goodness! Anna, the fact that you read this in spite of the fact that you don't eat meat, is a huge compliment! Thank you for your loyalty and your awesome comment. I love your closing paragraph. You made my day! Not sure how I missed this one. Well it was an education for me as I had never heard of it. We don't have anything similar here. I am not really a meat eater but if I was I would definitely give it a go. You made it very interesting and somehow invited us into your kitchen. You have managed to make a recipe hub sizzle! Try it, tirelesstraveler and see for yourself. It is yummy! Oh gosh that sounds like a good idea. Yum. Tirelesstraveler, you can always eliminate the bread. I've eaten the left over innards many times without stuffing it into bread. There's always a way. You broke my heart. Can't eat the rolls any more, but I would love to. The video about Pat and Gino's was awesome. Enjoyed the read. Cool. Are you sure Philly-Gourmet isn't available in your grocery store? As close as you are to PA, that surprises me. It's in the freezer section along with Bubba burgers and the like. Thanks for the heads up! I'll give it a try. Mary, don't buy Steak-Umms, they're aweful! If you can't find Philly-Gourmet, ask the butcher to thinly slice rib eye steaks. Tell him to make them paper thin and they're for sandwiches. Then freeze the meat. Cook it frozen. The fat in the meat will melt, adding flavor and giving you the moisture you need in order for it to not stick to the pan. Hey, Meg! Long time no see! 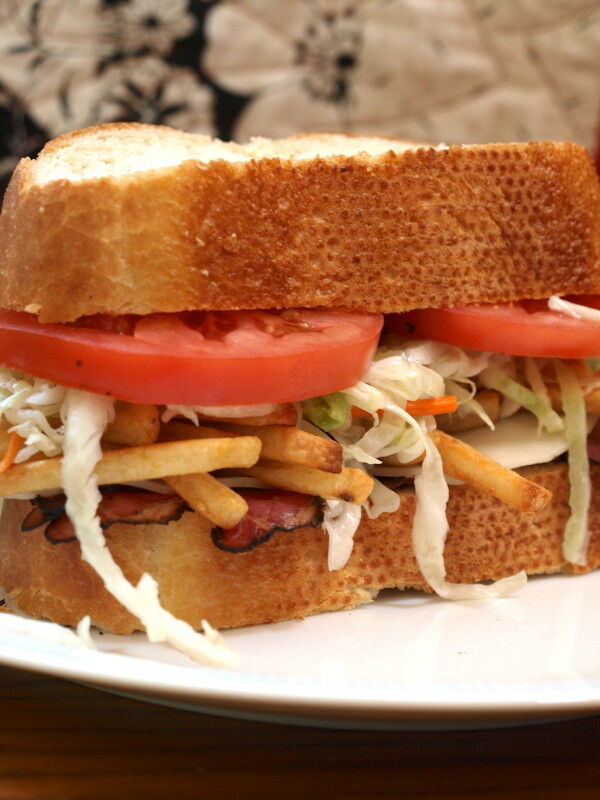 This sandwich has become an American classic. 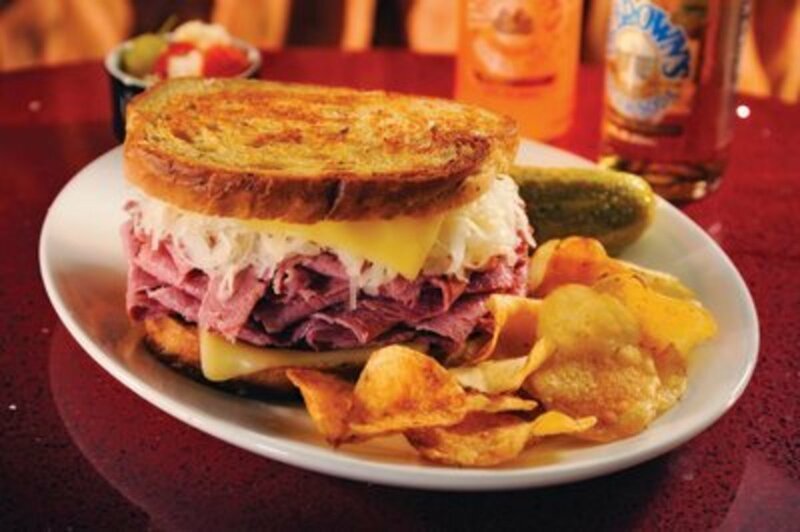 It originated in Philadelphia in 1930 by Pat's. At the time, it was a hot dog stand. One night the original owner (Pat) ran out of hot dogs. He went down the street and picked up some steaks, sliced them thinly, grilled some onions on the flat top, put the meat and onions in a hoagie roll and the steak sandwich was born. Once it took off, cheese was added. Sadly, in later years, Cheez Whiz was substituted for real cheese. I guess it was a question of economics, but it's a change that never should have been made in my opinion. There's Philly Cheesesteaks cooking all over the place thanks to you dear Sha. Oh it looks so good I can almost smell it. I hate it when you have long pieces of meat sticking out or falling out. Your solution is perfect! Guess what I'm buying when I go shopping? Can't get the brand of cheesesteaks you have but that's okay, I think at this point any one will do! I have never seen this type of sandwich before but it certainly sounds tasty! Faith, I'm thrilled you like my recipe. Breaking the meat up and scrambling it gives you meat in every bite. Leaving it whole too often results in one big slab coming out and all you've left with is bun. And, yes - Vidalia onions all the way! 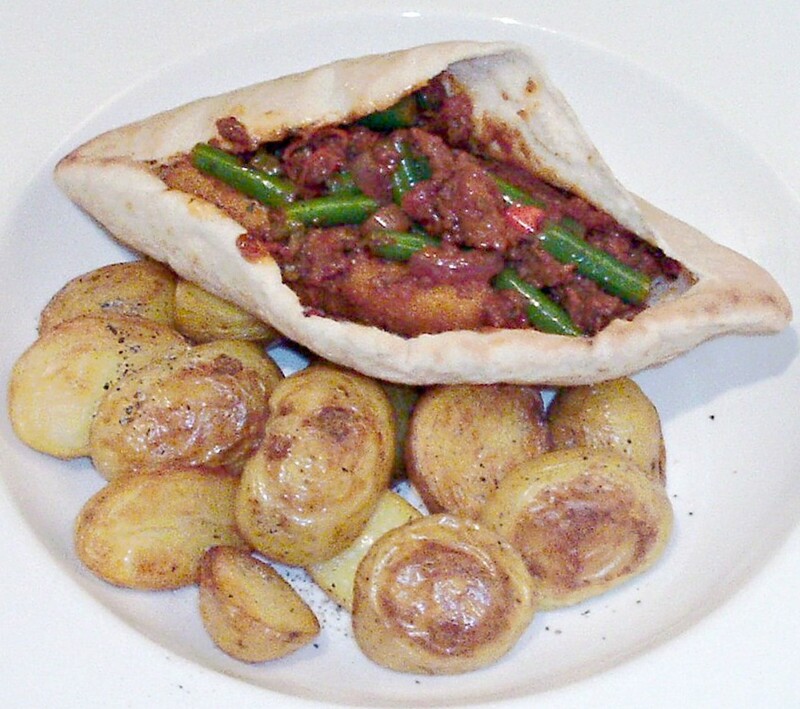 Thanx for the shares and the votes and I'd love to hear how you like this recipe. I wouldn't worry about Pinterest. I hear they're making changes that affect earnings by eliminating the affiliate programs. I, quite frankly, don't use it. But to each his own, right? Woo hoo, Sha, I believe you have created the best damn Philly Cheesesteak sandwich ever here in your fab recipe! I love Philly Cheesesteak and I have always hated it when the meat would do that, and so your idea about breaking it into piece is perfect. I love the combination of the two different cheeses (the real stuff) and no steak sandwich is complete in my mind without Vidalia onions ...they're the best! You certainly have a winner here in this recipe and thank you for sharing. Yes, who wants a cold bun? Hot buns/rolls are the best thing to add to this one's greatest. Well, shoot, I am still having trouble pinning to Pinterest for some reason. I shall return! Thanx, Debra. I wanted to make my first recipe post interesting. I'm glad you enjoyed it. Wow looks and sounds so delicious! I loved the way that you brought in the history of the food and the place. That it did, Shades. I'm always up for a good chuckle! Venkatachari, I'm glad I made replicating the recipe easy. That was my intention. The only pics I left out are sauteing the mushrooms. Well, bravewarrior, we didn't worry about the extra fat, 'cause we never used mushrooms. Great recipe. You have given full instructions with images to make it a great guide to us. Voted up. Shades, I can see why you'd put the rolls in the butter. Considering that this recipe is pretty fattening as it is, that's a step I've eliminated. When you combine the meat, cheese, and mushrooms, and top the sandwich off with prov cheese, stick it in the oven for 5 minutes, you get the outside crispiness on the roll without added fat. 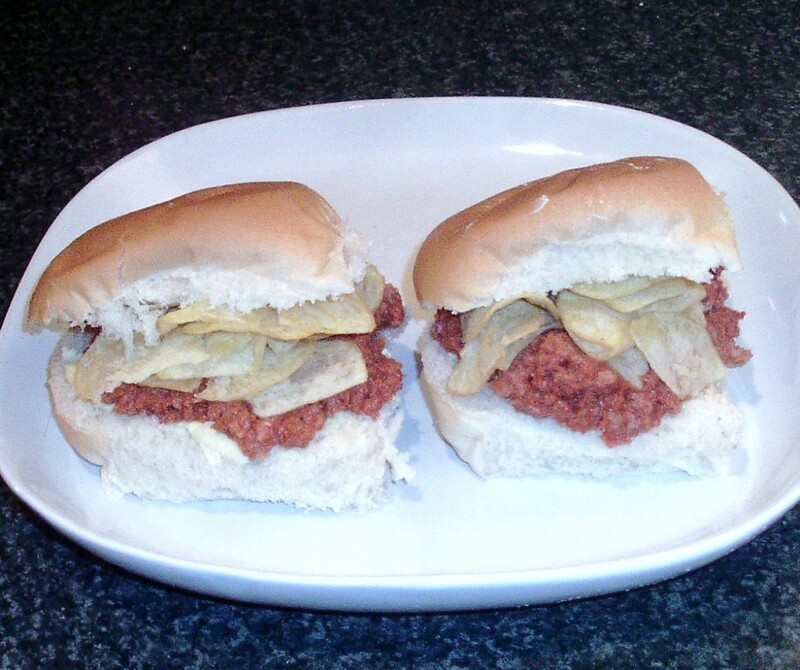 Besides, if you try my recipe you'll find that it's the crispy outside of the roll and the softness of the interior that pleases the palate. 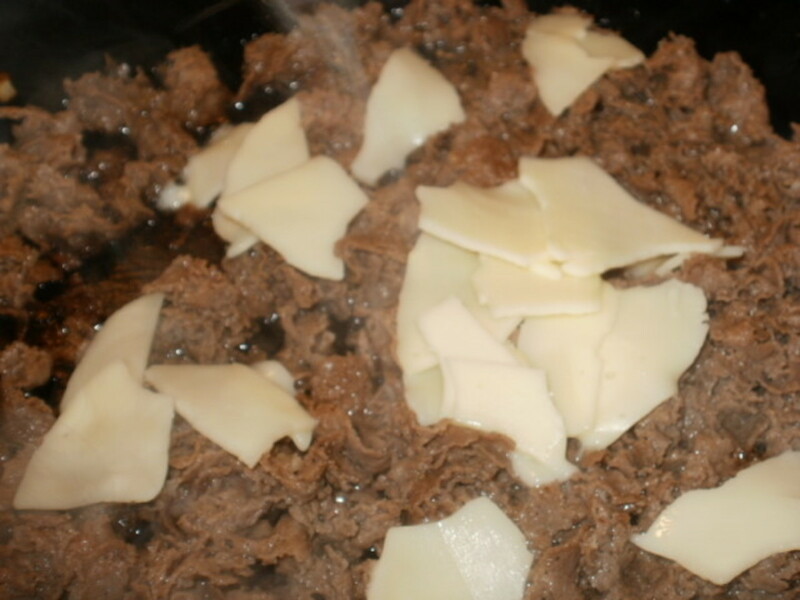 The meat/cheese mixture speaks for itself if made right because it incorporates the flavors of the onions and mushrooms that went into the skillet before the meat. Ah! 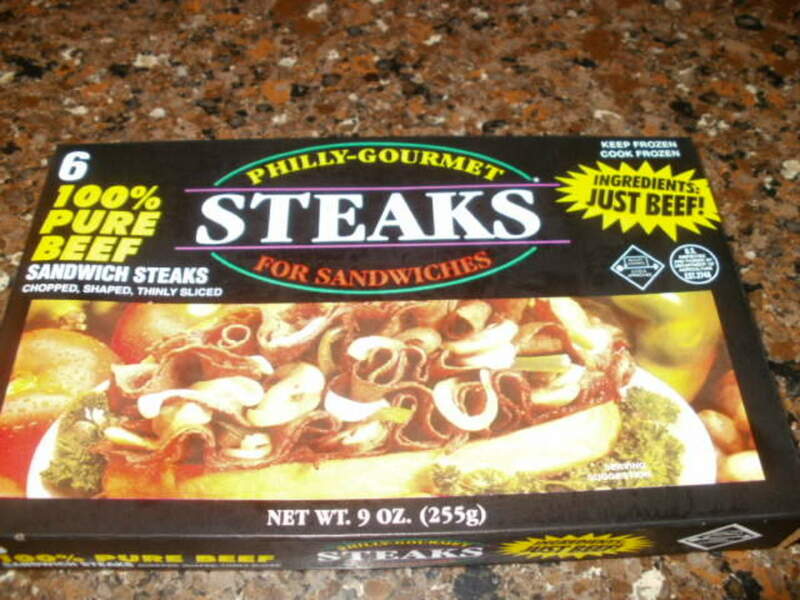 When I still ate beef, and lived in the Philadelphia area, cheesesteaks were a hot commodity. They were absolutely delicious, but I don't remember which places made the best ones. Since we are now in FL, I have made Philly cheesesteaks for my family many times. They thought mine were as good as - or better - than the ones we got in Philadelphia. Great recipe! The difference in how I made them, was that before I put the onions or the meat in the crusty rolls, I would put the rolls upside-down in the butter left over from sautéing the onions, and cook them until they were light brown. It seemed to add to the overall flavor of the cheesesteak. Jan, I love your comment! As far as I'm concerned, my recipe beats both restaurants hands down. When Pat's first originate the Philly Cheesesteak in 1930, there was no such thing as Cheez Wiz. Maybe cutting costs has made both Pat's and Geno's add it instead of cheese (after REAL cheese goes bad after a while). All I can say is, "shame on them". There's a new (or not-so-new) kid in town. My Philly Cheesesteak recipe is the real deal. It might be fattening, but it doesn't include chemicals or plastic cheese. What the hell kind of preservatives and hydrogenated oils go into Cheez Wiz anyway? I'll have to look it up, for sure. Yum, yum is all I have to say, bravewarrior. I don't usually get steak and cheese hoagies (or is it cheese steak) but you made me want one. They were so popular in Buffalo, New York when I was a teenager. You're a good sell and I believe that yours is better than Pat's or Geno's. When I visited Philly years ago, I went to one of them but can'r remember which! I will keep this recipe in mind when I have a taste for something gooey, juicy, and decadent. Voted up, useful, and awesome. Lee, it is MMM. I'm so tempted to make one for dinner tonight, but I'm making them for my neighbor next weekend. I'll just have to wait! Ruby, Bill's always telling us to make recipes interesting, right? I'm glad you like the fun I added to it. I would imagine Walmart carries Philly-Gourmet. Just don't buy the Steak-Umms - they're horrible and aren't 100% beef. Bruce, I'd love for you to try this recipe. I don't know when Pat's and Geno's started using cheez whiz, but when I lived in Philly in the '60s and early '70s, it wasn't used. I don't know why they'd add that crap to a Philly classic. Especially at Pat's where the cheesesteak was invented. I'd love to combine it with a little bit of Rocky. I've always had sort of a crush on Sly Stallone. I met his sister years ago in Miami. She was in the tattoo shop of a friend of mine. He used to date her. Knows Sly and their Mom real well. Whenever my friend would go out to California, he and Sly would go for a run on their Harleys. I was always hoping to meet him, but it never happened. Awesome, Mary! The fixins' are on my grocery list, too. Headed to the store shortly! Let me know how you like the recipe. I don't know where you shop, but Publix usually has the multi-grain hoagie rolls in the bakery section. You tempt me to try this and I'm sure it's delish when you cook it. Combine this recipe wit a lil bit of Rocky and you got everything a good Philadelphian could want! I was just making out my grocery list for today when I saw your Hub. I'm buying the stuff to make this with, and we'll have this for dinner tonight! Voted UP, and shared. Will Pin to my recipe board, too. Cam, you're the perfect person to test this recipe against Pat's and Geno's. I hope you do and get back to me. You can do the taste test and let me know if this is the Best Damn Philly Cheesesteak you'll ever eat! Martie, if you ever visit Philly, I'd advise you not to call a Philly Cheesesteak a cheesesteak burger. Ha ha. Anyway, I hope you give this recipe a try when you have a hankering for comfort food. Audrey, that's very unselfish of you to make a meal for your family that you won't eat yourself. I used to have to make two meals every night when my son was little because he was an extremely picky eater. Fortunately, I don't have to do that anymore. Well, not entirely true. He doesn't like mushrooms , so when I make this sandwich I either have to do without 'shrooms (which I love) or kinda make it in two batches. I don't know what's up with the rating module. You're not the first one to tell me it wouldn't let you give this recipe five stars. Paula, I usually get two meals out of this sandwich. It's filling. But at least that way, you cut the calorie content in half. I don't make them often, but when I do, I'm in salivary glory! Randy, you can certainly add green pepper to it. I've done that on occasion. Just don't put catsup, mustard, or mayo on it. That's a cardinal sin!